-WEIGHT RESTRICTIONS: 160 lbs. PER SQUARE FOOT. -WEIGHT OF EACH PIECE: 74 lbs. -DESCRIPTION: STEEL FRAME WITH PLYWOOD INSERT. 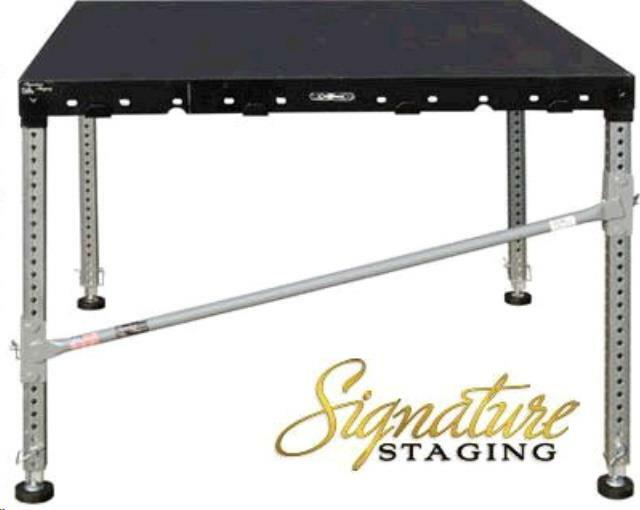 * Please call us for any questions on our flooring stage rentals in Monroe WA, Duvall WA, serving Woodinville, Bothell, Snohomish, and surrounding communities.